Version 1.4.3-174 of the OMS agent for Linux is now generally available. This updates includes a couple of bug fixes, and new features. A new version of the SCX (v1.6.3-474) is now available. This is the OMI CIM providers for OS perf. metrics. The OMI is also updated to v.1.4.1 in this release. 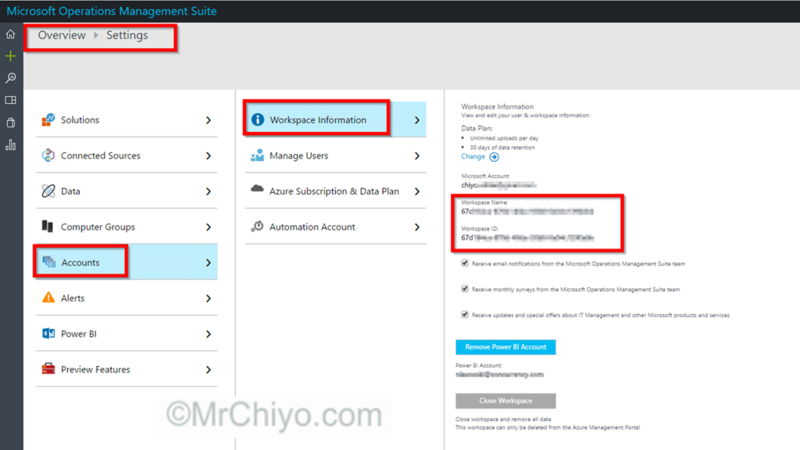 Where WORKSPACE_ID Is the ID for your OMS workspace, and the SECRET_KEY is the relevant key for your OMS workspace. In the Settings page, click on Accounts -> Workspace Information.